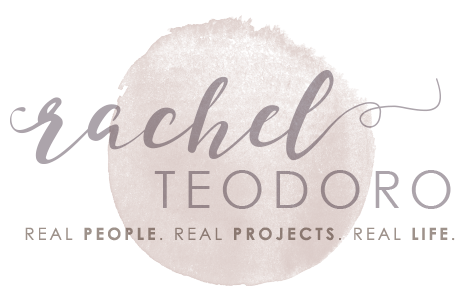 All this week I have been talking about a new product from Plaid and Mod Podge Rocks. I am in love with the new Mod Podge Rocks peel and stick stencils. 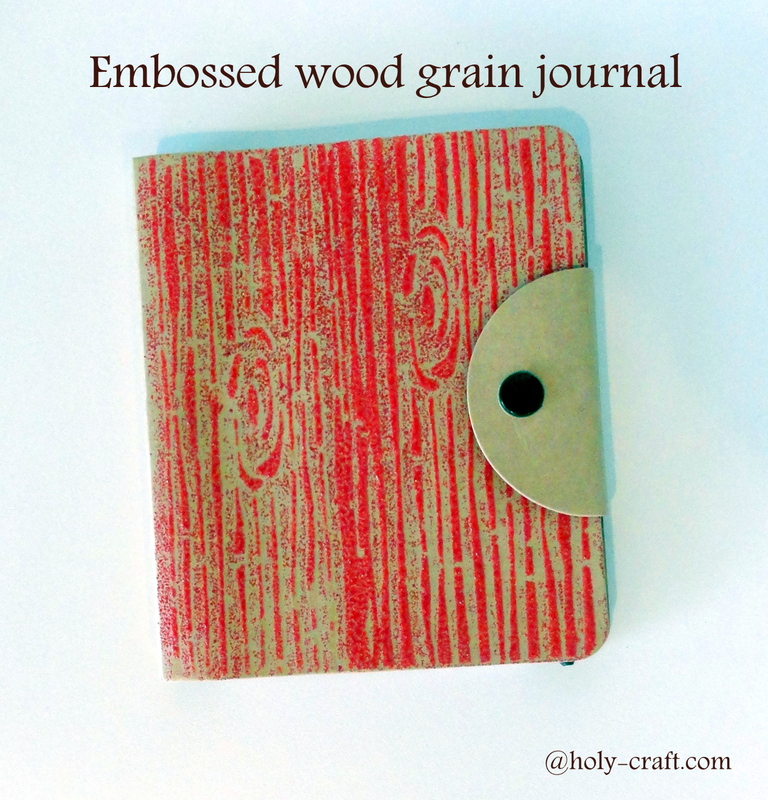 today I am sharing with you an embossed wood grain journal. 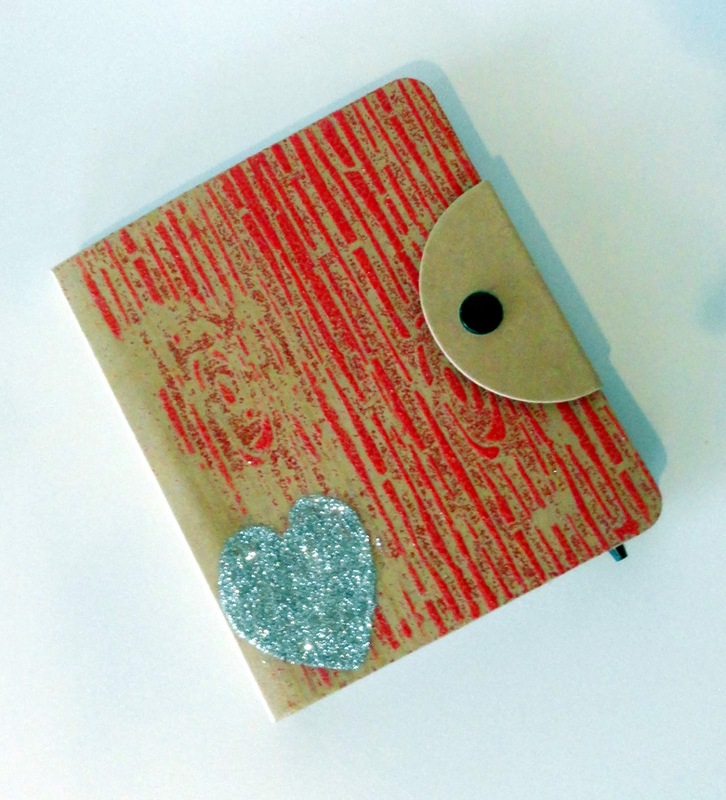 This project is perfect for the glitter averse! 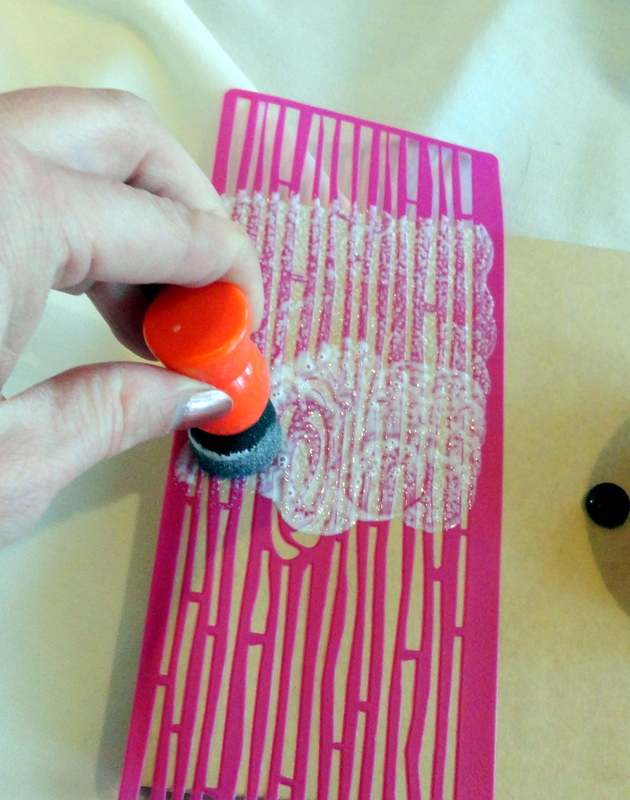 If you have never used embossing powder, I will walk you through the steps. 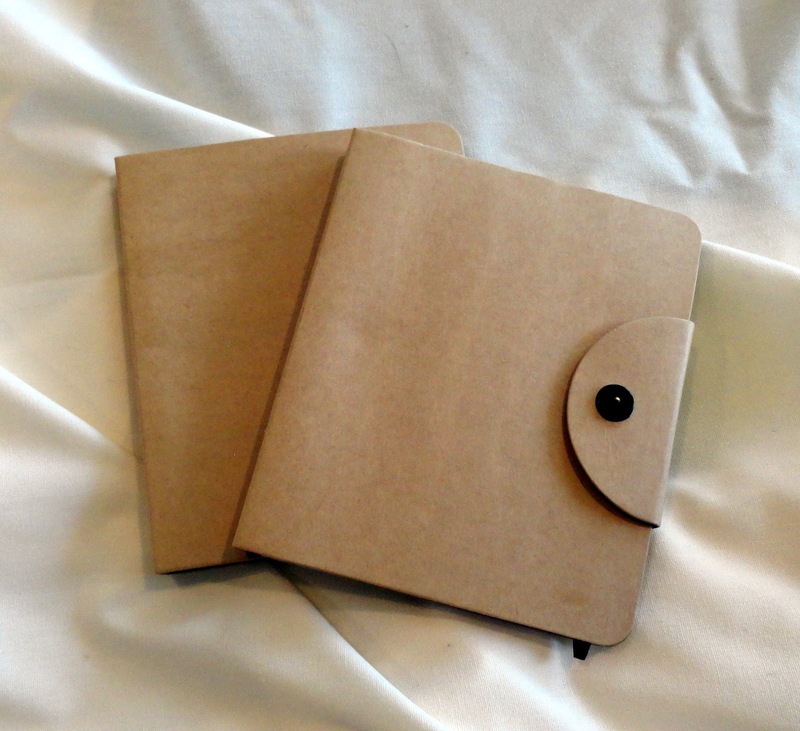 I started with two plain journals that I picked up at my favorite local craft store for $1 each. 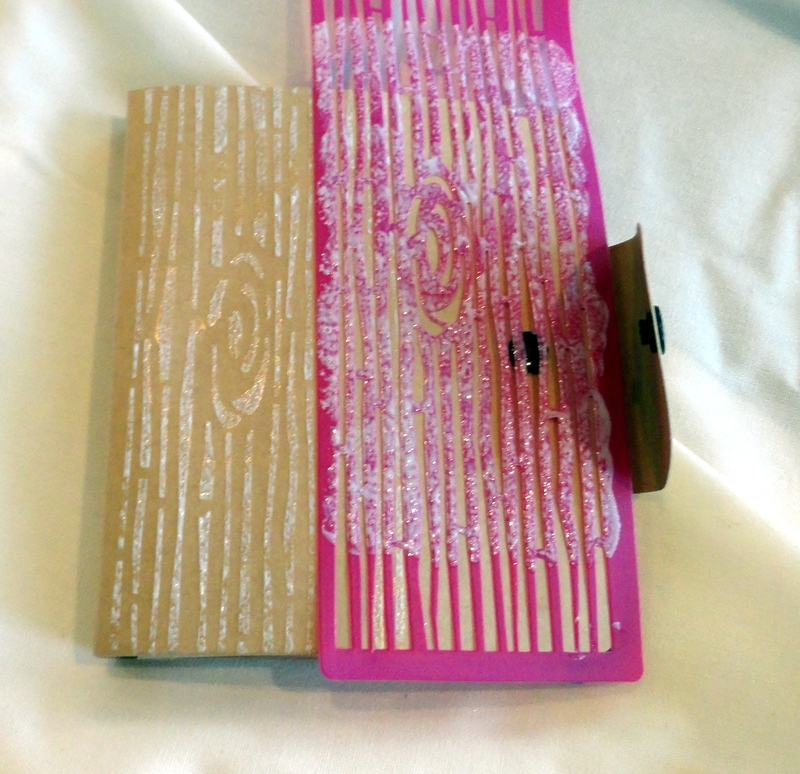 I gathered my mod podge and my embossing powder and was ready to work! Start by taking your stencil and applying it to your surface. Use a pouncer to apply your mod podge. Once you have applied your mod podge, remove your stencil. 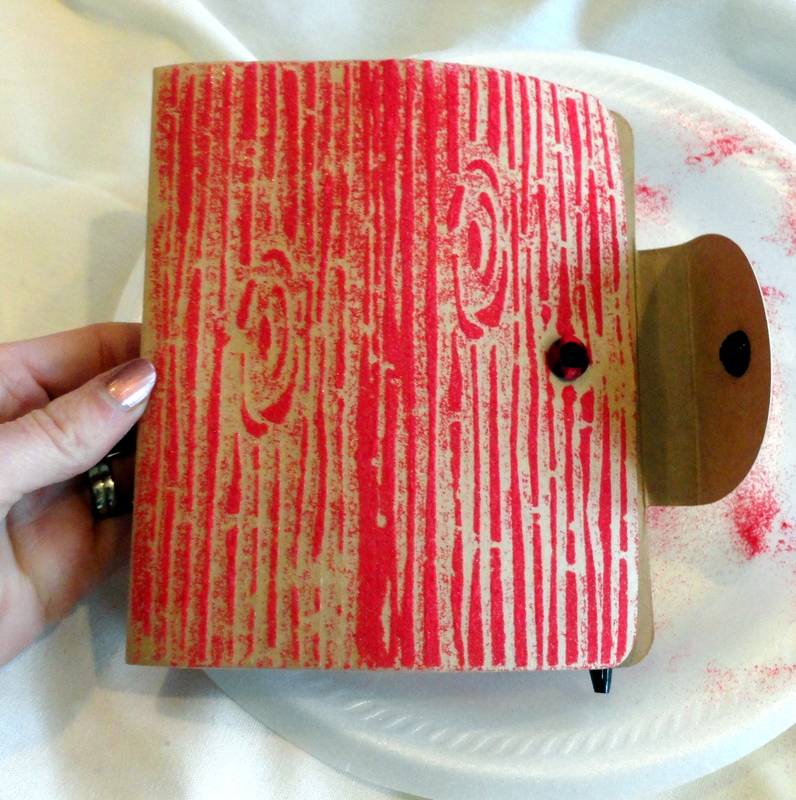 Because I wanted the whole front of the journal to have the wood grain, I reapplied my stencil. 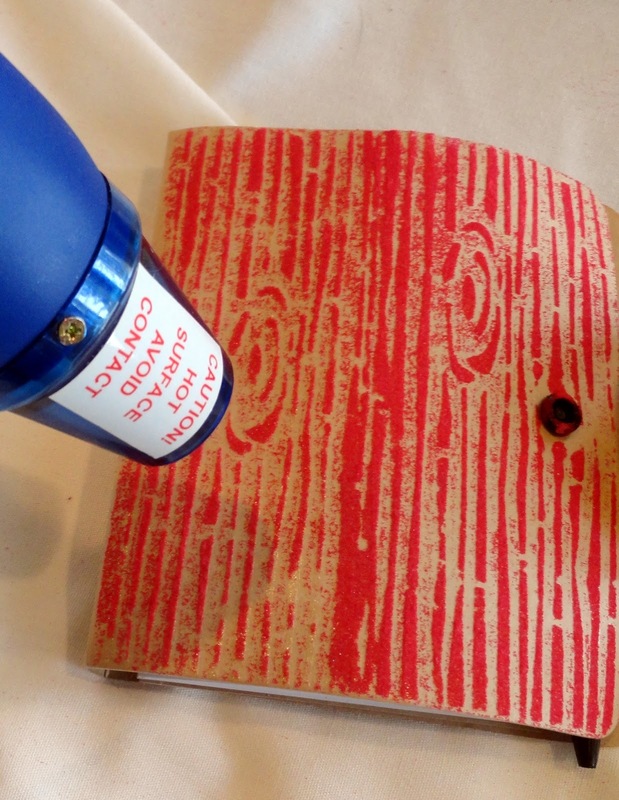 I sprinkled my red embossing powder on to the wet mod podge and shook off the excess. 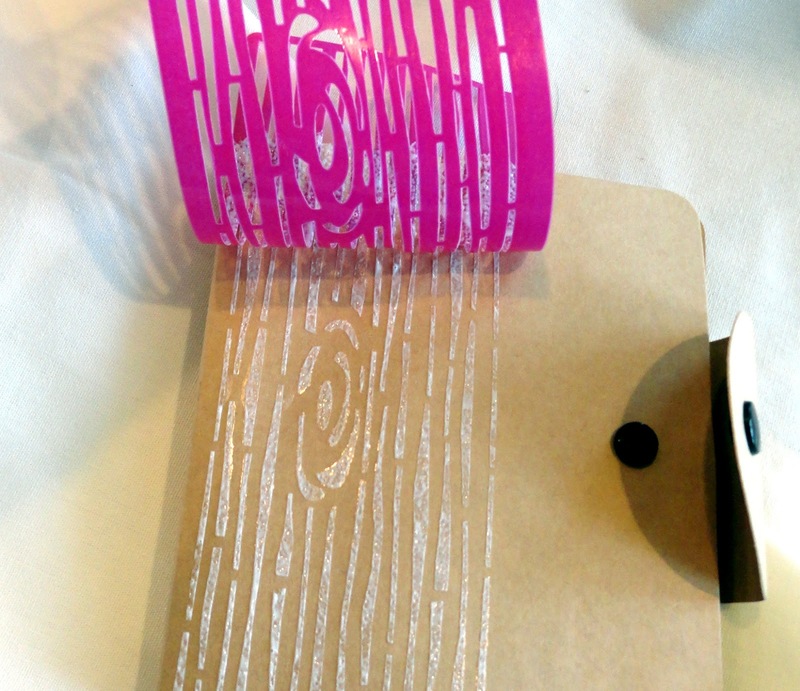 Embossing powder is like magic! 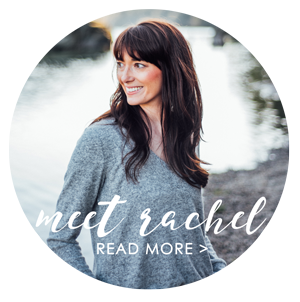 When you heat it with an embossing tool the powder melts and seals in your design. It's not glittery, doesn't flake off or leave a mess. 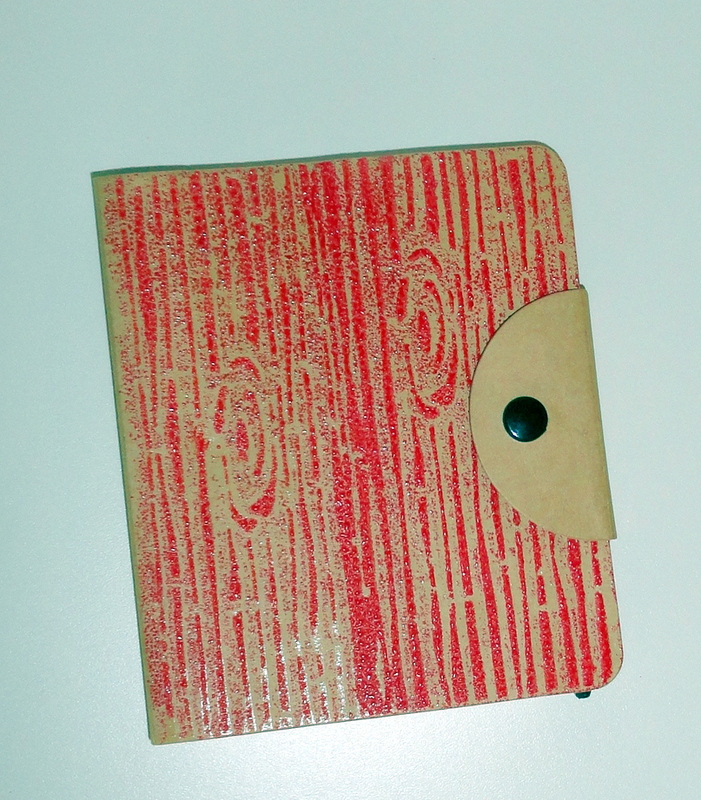 Because I was busy photographing and not working, my mod podge dried and left an open spot on the front of one of my journals. 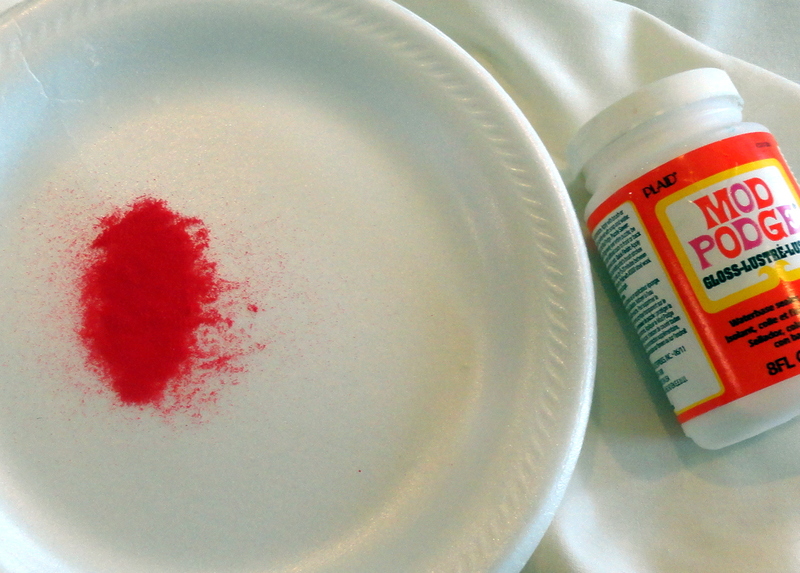 I put mod podge in a heart shape and fixed it with glitter. Anything can be fixed with glitter! It's the perfect journal for my tween daughter! 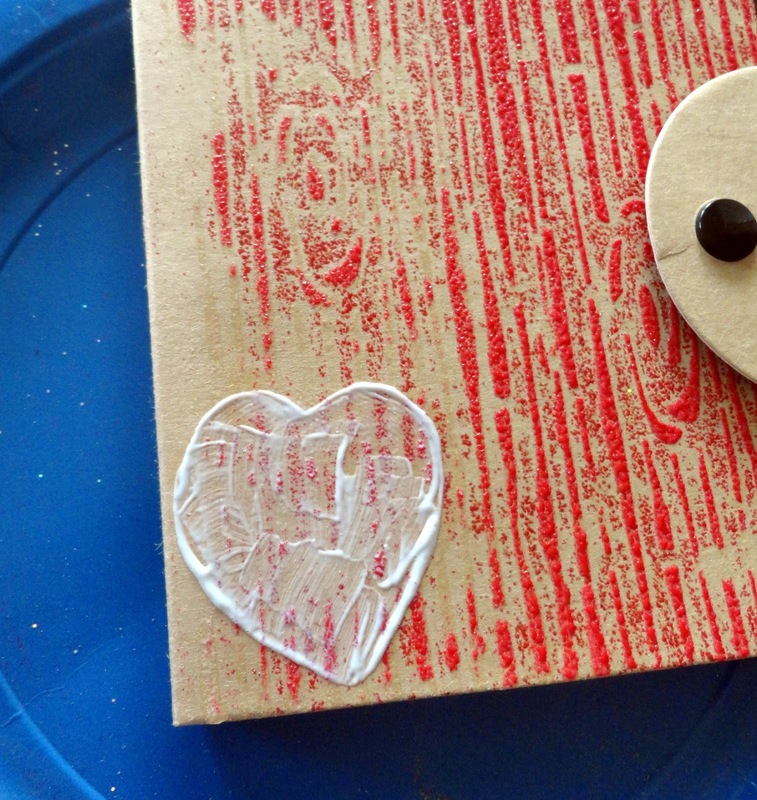 I love that embossing powder works with mod podge. I had no idea if it would work and I love the end result. To get more information on how to use the Mod Podge Rocks peel and stick stencils, visit this link. I really think you guys are going to love these stencils. There are so many possibilities to amp up your next project. I love that the embossing powder worked with mod podge. It just takes a little bit longer to dry with your heat gun then if you used ink and embossing powder but it leaves you with a pretty epic ending! Nothing loose, totally permanent. I almost very nearly picked up that stencil this weekend. Looks really great! What an awesome idea! I'm always on the look-out for ideas for crafts at summer camp. This would be a perfect one! !